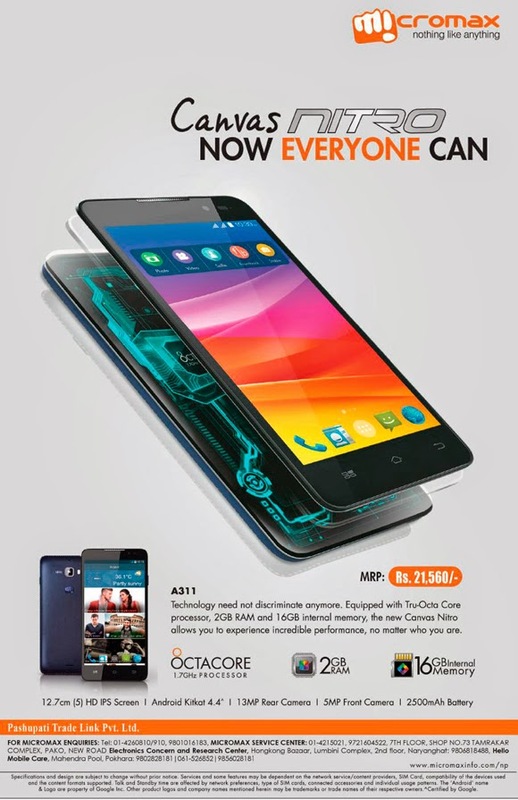 Micromax has updated a new price of it's Canvas Nitro A311 model. The smartphone comes with equipped Tru-Octa Core processer, 2GB RAM and 16GB internal memory. It run on Android Kitkat 4.4 version. The features inclused 13MP rear camera, 5MP front camera and 2500mAh Battery.